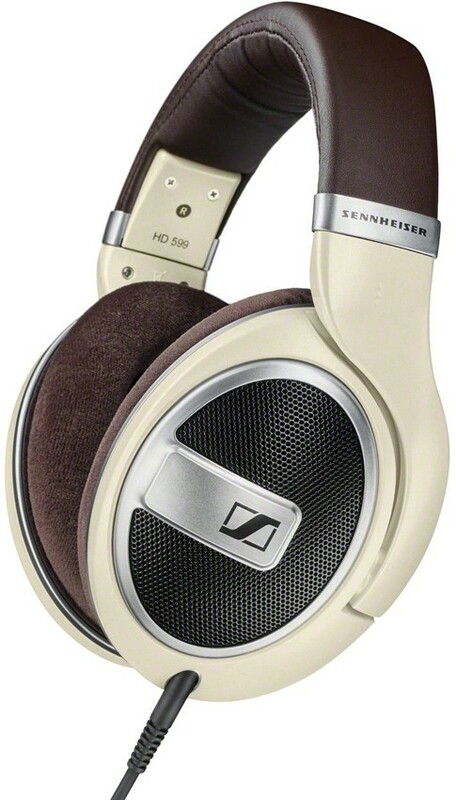 A unique design in Sennheiser's range in this cream/brown design, these full size open back headphones are solidly made and deliver impressively refined natural sound quality. 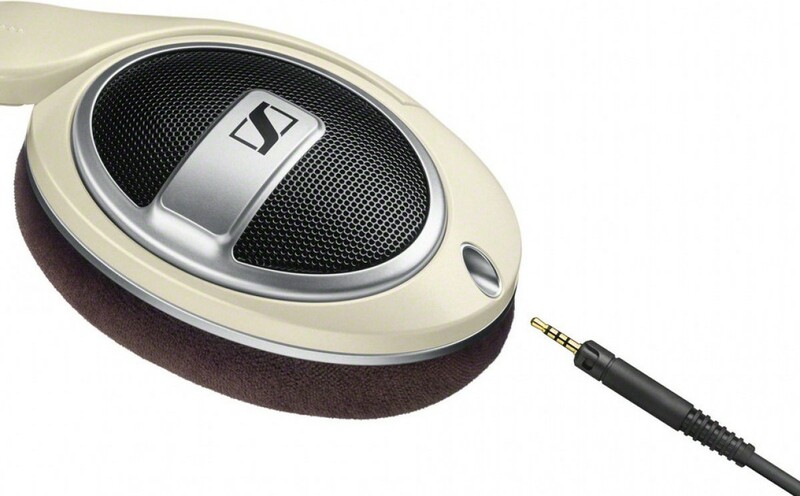 Sennheiser HD 599 open back headphones deliver impressively natural spatial performance. 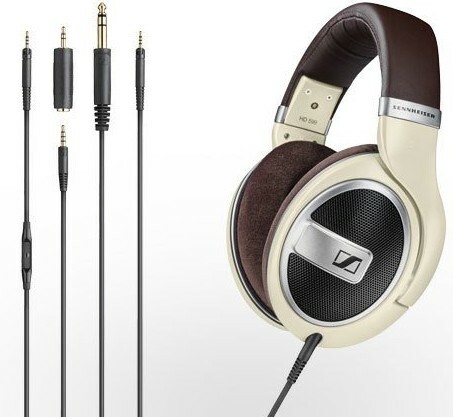 Topping Sennheiser’s 500 series, the full sized premium headphone offers near-audiophile levels of sound quality and exceptional wearing comfort thanks to the large ear cups and soft replaceable ear pads. 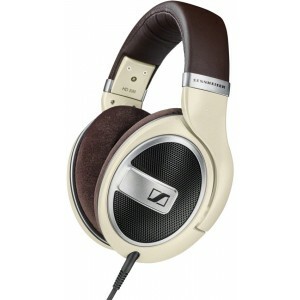 As successor to our popular HD 500 series, the Sennheiser HD 5 model range offers high quality and value in any aspect. Driven by Sennheiser’s patented transducer mechanism comprising the Ergonomic aural fine-tuned design, which directs the audio signal straight into your ears. HD599 allows you to step into the audiophile sound universe to experience extraordinary neutral spatial performance delivered by premium unique Sennheiser transducers. You may have heard headphones you would describe as quite good. HD599 demonstrates what lies beyond that: there is no turning back. 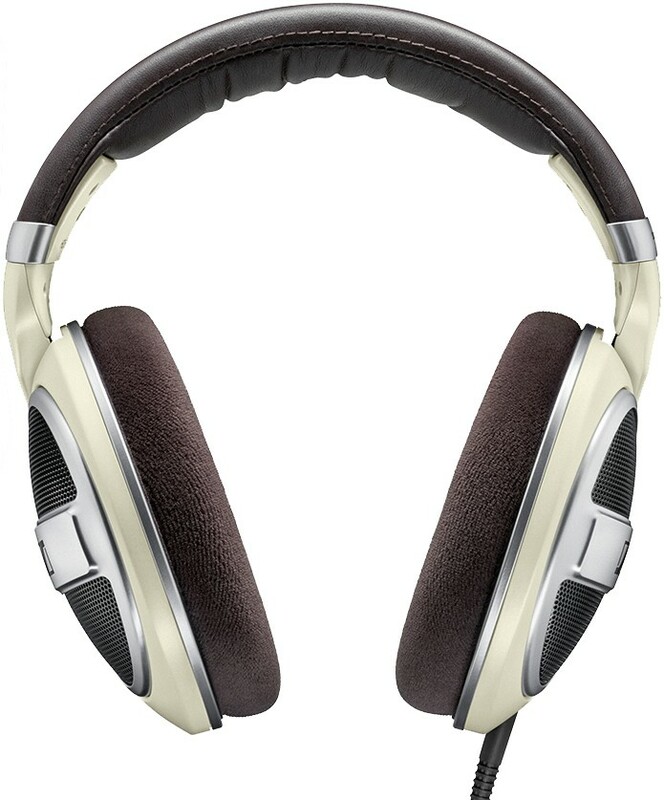 The HD 599 has an open-back structure. Thanks to the huge over-ear cups with plush replaceable ear pads, pressure is reduced on your ears so there is only sound. Nothing will stop you from listening to track after track, discovering what the new elements the HD 599 shows you. Quality you can hear, see and feel – that’s what the HD 599 is about. The design emanates luxury from the dark stitching on the headband to the metallic intricacies on the ear cups and headband. Along with the timeless ivory colour scheme, these subtle additions contribute to the instant feel of matter and quality.